Always on the lookout for really interesting, original, “bubba-like” design and build ideas, we ran across this on the Etsy site, some beer can and beer bottle light fixtures. Perfect for a home theater, man cave, or any bubba entertainment center. “Etsy” is a retail type site for designers, artists, and craftspeople to show and sell their creations. Here at Bubbashometheater, we like to keep a look out for things that might work with anything in the bubba space. ZAL Creation’s page, we couldn’t keep it to ourselves. He’s got some track light fixtures made from various beer cans. If you think those are well crafted, you need to check out some of this other stuff. he’s got a vanity light strip made from a skateboard, and some “pendant” type lamps that are very popular now, made from bricks and cinder blocks!! (Bubba, please reinforce your hanging hardware for those! 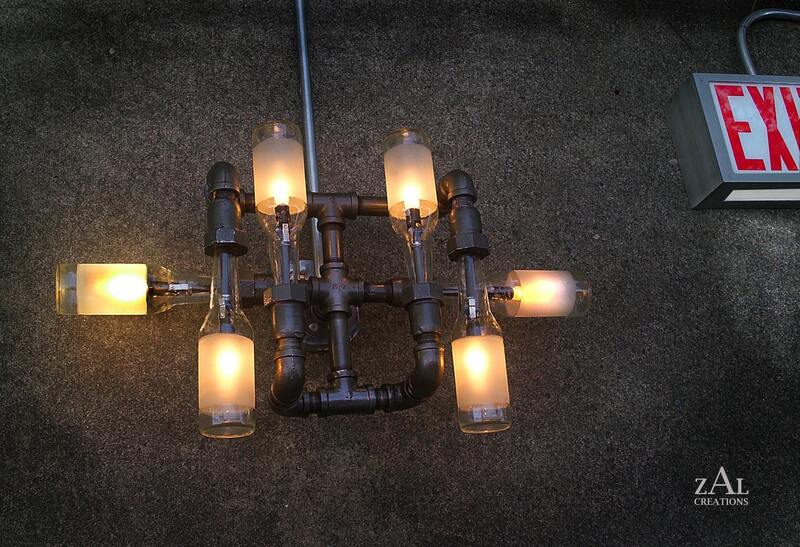 Our other favorite though, was a series of wall and pendant lamps made from beer bottles and pipe. Very nicely done. He’s got several very unique, one of a kind fixtures. 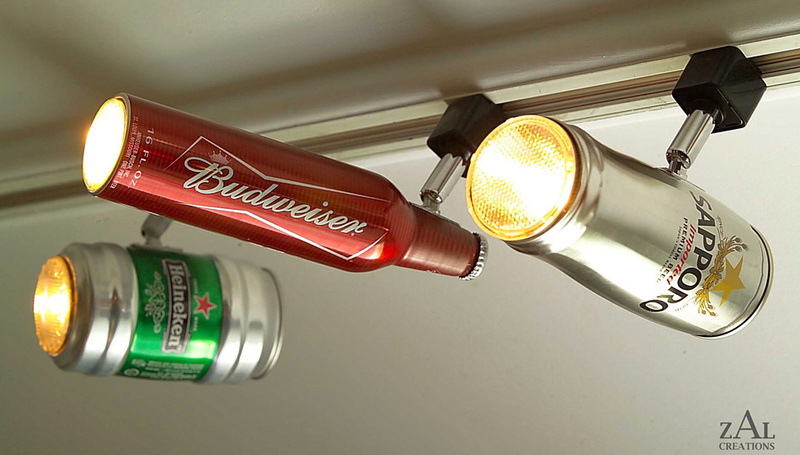 A beer bottle light fixture would be as impressive as anything else you’ve got going on in the man cave! ZAL site on Etsy here.